September 11, 2017 marks the 16th anniversary of one of the most tragic events in United States history. On September 11, 2001, 19 Al Qaeda terrorists carried out a plot to bring carnage and suffering to the American people. 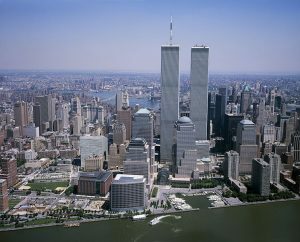 Two airplanes were hijacked and flown into the Twin Towers of the World Trade Center in New York City and a third hijacked plane was flown into the Pentagon in Virginia. The attack killed almost 3,000 people. This is the largest loss of life by a foreign attack on American soil. At the World Trade Center, 2,763 people lost their lives including 343 New York City firefighters and paramedics, 23 New York City Police Officers, and 37 Port Authority Police Officers. It is the deadliest day in the history of New York City Fire Department. The attack at the Pentagon killed 125 military personnel and civilians. A fourth flight, United flight 93, was also hijacked; however, the heroic passengers of flight 93 attacked the hijackers to regain control of the plane. The plane crashed to the ground killing all 44 passengers in the Western part of Pennsylvania during the melee. The exact target for flight 93 remains unknown. It has been speculated that it may have been the Capitol Building in Washington, D.C. or possibly a nuclear power plant. The actions of the brave passengers saved countless lives. This horrific event has affected numerous children. It has been reported that the number of children who lost a parent as a result of the events on September 11, 2001 is over 3,000. The survivors need help and multiple charities have been established to provide them guidance and support. You can donate your time and/or make a financial contribution. Two such charities are Tuesday’s Children and Families of Freedom Scholarship Fund. If you are inclined to pledge support, please do your own research on a website such as charitynavigator.org before making any contribution.